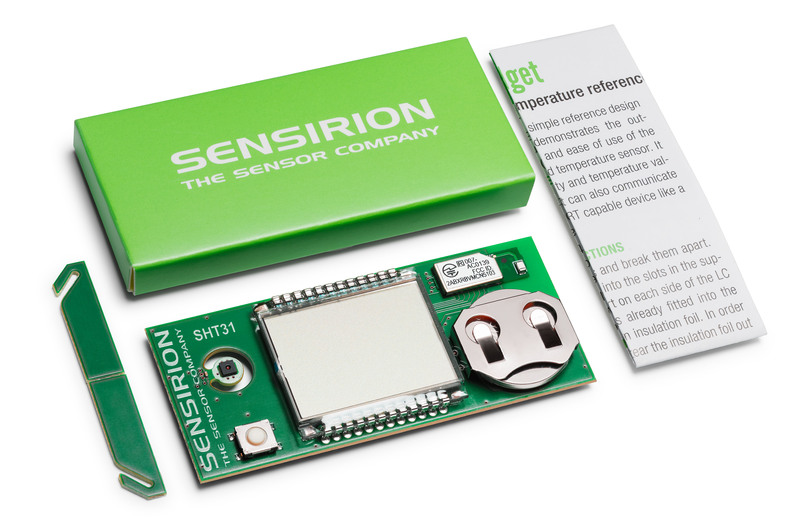 Sensirion now offers a new development kit for humidity and temperature measurements: the SHT31 Smart Gadget. The Smart Gadget comes with a SHT31 humidity and temperature sensor and shows the ambient humidity, temperature, and dew point in Celsius and Fahrenheit. Furthermore, it is able to communicate with Bluetooth smart cable devices like smartphones and offers data-logging capabilities. Sensirion has published all design resources on GitHub, so that developers are able to kick-start their own projects. Of course, the SHT31 Smart Gadget can also be used as a simple desktop weather station. The Smart Gadget is a simple reference design circuit board and development kit that demonstrates the performance and ease of use of Sensirion’s humidity and temperature sensors. The development kit consists of a main PCB equipped with a SHT31 sensor, LCD display, push button, and BLE module, including battery, supports, and a quick-start guide. 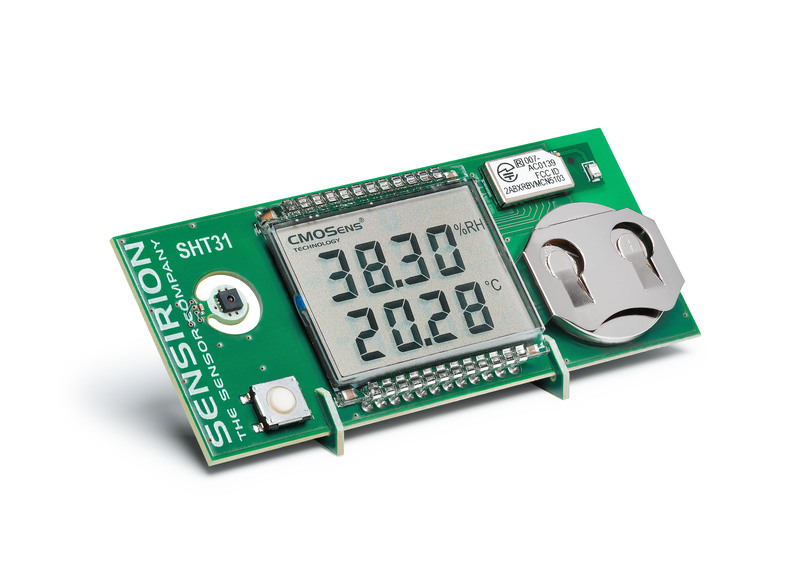 As part of the new generation of Sensirion’s temperature and humidity sensors, the SHT31 is characterised by increased intelligence, enhanced reliability, and improved accuracy specifications. Its functionalities include enhanced signal processing, two distinctive I2C addresses that can be selected by the user, and communication speeds of up to 1MHz. The DFN package has a footprint of 2.5 × 2.5 mm2 and a height of 0.9mm. Additionally, the wide supply voltage range of 2.4 to 5.5 V and low current consumption of 0.2 µA in idle state and 2 µA on average in operation with one measurement per second guarantee compatibility with a diverse range of applications. The SHT31 humidity and temperature sensor gives a fully calibrated, linearized, and temperature-compensated digital output and has an outstanding typical accuracy of ±2% RH and ±0.3°C.